Local hero and Commander of the Hilton Stone American Legion Post 279, Woodbury, Tennessee, Bobby E. Ferrell, United States Marines, has been selected as the American Legion State of Tennessee, "Legionnaire of the Year." This prestigious honor is a very special and coveted award. Tennessee has 54 American Legion Posts consisting of over 30,000 members. American Legion Post 279 is a newly chartered Post. In fact, it is the first new American Legion Post in Tennessee in the past 20 years. 1. To support the youth programs in our community. 2. To support the Veterans of Cannon County and their families. 3. That there would be no smoking, no dancing, and no drinking alcoholic beverages at Post 279 meetings. 4. The meetings would be family oriented, fun and exciting. The ladies of the Auxillary would prepare our meals for our monthly meetings. Under his leadership he has led the Post in the direction of being a model Post for all other American Legion Posts in Tennessee to emulate. Commander Ferrell puts a great deal of emphasis on youth programs such as Boys State, Girls State, Oritorical Contest, American Legion Baseball (which will be headed up by Ronny Timmons), and the Sons of the American Legion (eligible to sons and grandsons of war time Veterans). He also strongly emphasizes support to all community activities such as, Good Ole Days, Armed Forces Day and Parade, Memorial Day, the annual Veterans Day Program at Cannon County and Veterans Day Parade to honor the Veterans of Cannon County, the Fishing Rodeo held at Dillon Park with TWRA Officer Mark Vance (we had 86 kids and 134 adults attend - fun, hot dogs and drinks for all - and lots of fish were caught). Members support the Carnival Day at the Alvin C. York Medical Center in Murfreesboro. Commander Ferrell has served as the United States Marine Grand Marshal for the Annual Veterans Day Parade. 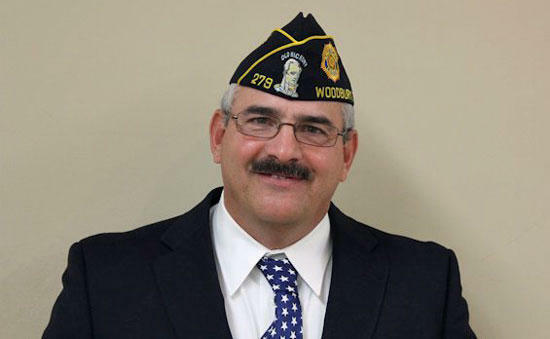 He was selected as the "Legionnaire of the Year for American Legion Post 279 for 2012. He also has the distinct honor of being elected as the Commander of Post 279 for his second term (a great honor from his peers). Ferrell has received the National Headquarters Certificate of Meritorious Service. He also received the Tennessee Commander's Excellence Award. He completed the American Legion Extension Institute - Corrrespondence Course, 24 April 2012. Ferrell is one of the 21 original Charter members of Post 279. Commander Ferrell with a personal drive, unequal enthusiasm, and a sincere sense of service to our Veterans and his community, stepped forward when our original Commander resigned, and our initial 1st Vice Commander took over as commander and resigned in a couple of months, all during the first year as a newly chartered American Legion Post. Through his inspiring, tough and demanding leadership, he assumed command of Post 279. He organized his staff, established an extensive Executive Board which includes all of the elected officers of the Post. This board meets monthly in addition to our regular monthly meeting. This way all of the business is completed during the Executive Board Meeting and our regular meeting can focus on the ceremonial and informational issues. Ferrell has established a positive can-do attitude among the staff officers and members. He personally headed up a campaign to sell memorial bricks for the Department of Tennessee Hedquarters for a special project for Veterans known as the "Yellow Brick Road," where memorial bricks in honor of a veteran is purchased and placed in his or her memory. He volunteered Post 279 to host the Fifth District Convention. He organized and conducted a "Post Everlasting" ceremony to honor our Post 279 members who pasted away during the year. He established a Liaison Officer position to work with the Auxillary to keep our ladies well informed on all issues. The ladies of our Auxillary prepare our dinner for our monthly meetings. Commander Ferrell has established a close working relationship with our City and County Officials. He is truly an outstanding Ambassador for the American Legion. Commander Ferrell is a man of vision. His goal is to have an annual major fund raising event for Post 279 and our County. Through his leadership, we are in our second year of establishing an Annual Licensed and Sanctioned Kansas City Bar-B-Que Cook-Off event similar to the one held annually in Lynchburg, TN. He sets the example for all to follow. He is a man of exceptional leadership abilities, who "Sets the Pace" for American Legion Post 279. His dedication and leadership to Post 279 has truly been above and beyond the call of duty. It is a great honor and priviledge to serve under the command of Bobby E. Ferrell. Based on my 35 years of military service, I worked with many high level officers. I met only a few of these high level officers who had the exceptional and demonstrated leadership abilities of Commander Ferrell. He is truly outstanding by any measurement. Congratulations to Commander Bobby Ferrell and his lovely wife, Amy Scott Ferrell. A JOB WELL DONE!